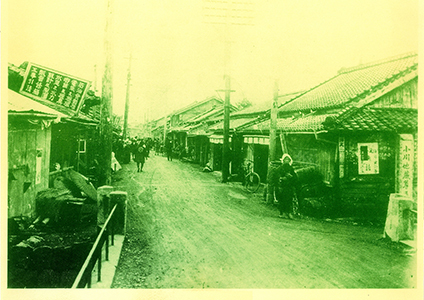 SAIDA Group, established in Japan’s Yaizu city in 1921, is approaching its 100th anniversary in 2021. 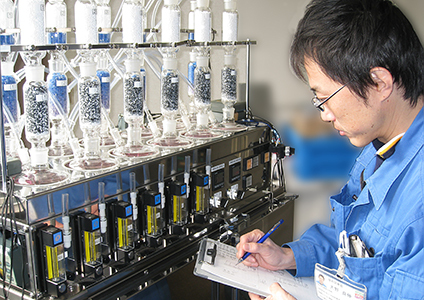 Since our conception, we have proudly continued to meet our customers needs by our value of ‘monozukuri‘. We have focused on the machining of parts and complete assemblies in the fields of precision machine tools or industrial machinery. In 2007, SAIDA FDS INC. (FDS: Frontier Development & Sales) was established to expedite the development of our own products. We now focus on the development and global sales of our own products which hold international patents. Through the development of our own products, we will continue to be a manufacturer required by society. 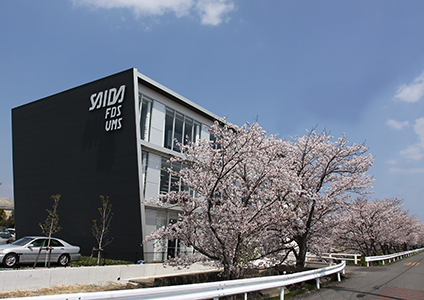 In 1921, SAIDA was established in Yaizu city, Japan as a machinist of marine diesel machinery parts. 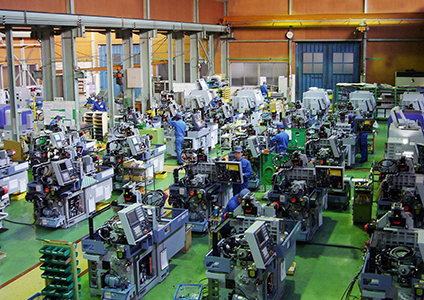 In the 1970’s, we moved into the field of machine tools. As well as the machining of parts, we have focused on unit assemblies and whole-system assemblies. We are certified according to ISO-9001 for the reliable quality of our products and improvements to our manufacturing techniques. We began to develop our ‘own’ products using techniques accumulated over the years. 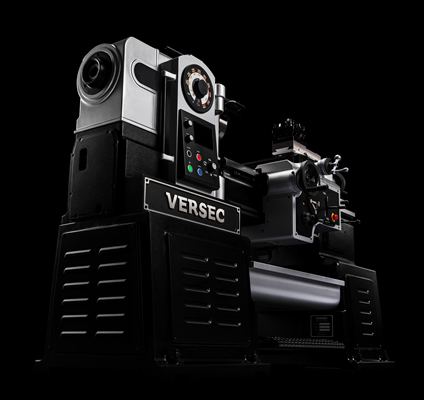 The ‘VERSEC’, a manual lathe designed for the 21st Century, is our most outstanding product. Details about ‘VERSEC’ are disclosed in a special website (in Japanese). 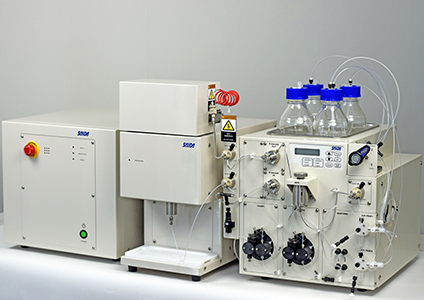 Microbial Oxidative Degradation Analyzer (MODA) is a device capable of accurately and precisely weighing the miniscule amounts of carbon dioxide generated by microbial activities. Particularly, microplastics is becoming one of the major issues for the global environment. Chemical engineers are developing plastic materials which can be biodegraded in various conditions such as compost, soil, aqueous or anaerobic digestion in activated digested slurries. 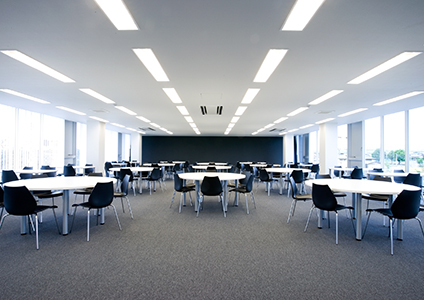 To address this issue, we developed MODA, which is internationally certified according to the standards described in ISO14855-2 and is patented in the U.S.A. and Europe. Establishment of SAIDA FDS INC. In 2007, SAIDA FDS INC. (FDS: Frontier Development & Sales) was established to expedite the development of our own products. We focus on the development and global sales of our own products which hold international patents. 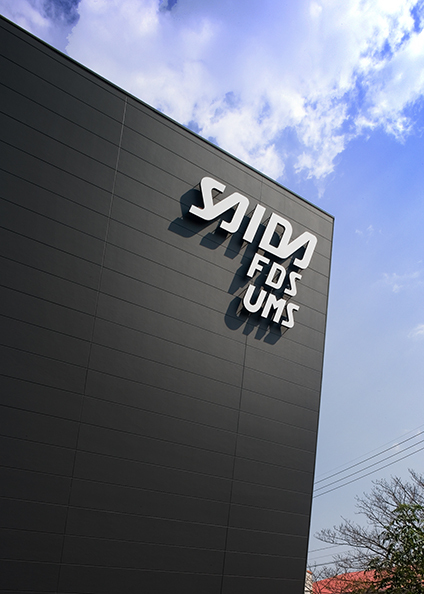 Conceptually, our parent company SAIDA UMS INC. manufactures our products and SAIDA FDS INC. develops and sells them. The use of microwave heating is well known due to the domestic microwave oven. Microwave heating also plays an important role in the fields of organic and inorganic chemical synthesis. There are many reports that microwave heating provides higher product yields in shorter time periods and at decreased reaction temperatures than conventional heating. Therefore, microwave heating is expected to become one of the most useful methods for organic and inorganic chemistry. 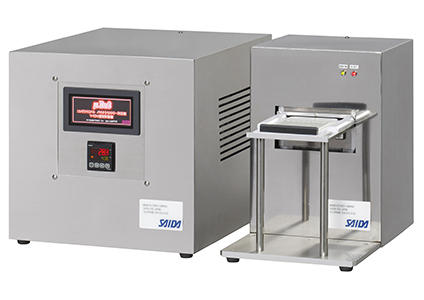 SAIDA FDS initially developed batch-type microwave apparatuses for the precise control and uniform heating of microwaves for medical and chemical applications. Batch-type apparatuses were successfully developed for the following applications: a) fluorescence in situ hybridization (FISH) and b)Positron Emission Topography (PET). Conversely, chemical synthesis using microwaves is difficult to scale due to the limited penetration depth of microwaves. In recent years, ‘flow chemistry’, which uses a pump to pass reaction mixture through a thin tube, has attracted attention. 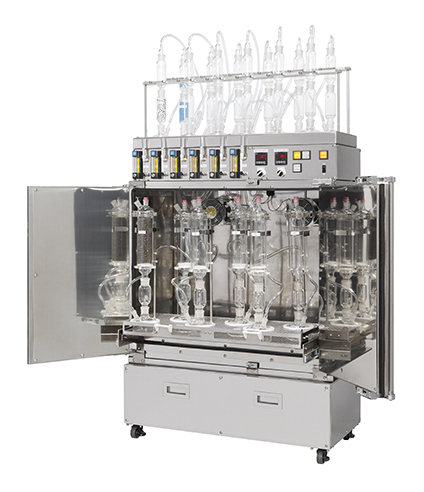 Flow chemistry has clear benefits over batch processing in terms of cost, safety, synthetic maneuverability, process robustness, reproducibility and scalability. Particularly, the thin paths of flow reactors are ideally suited to address the issue of microwave penetration depth. Therefore, we have combined microwave heating and flow chemistry in a flow-type microwave apparatus for enabling scale-up of high temperature chemical processes. SAIDA Group will celebrate its 100th anniversary in 2021. We will continue to refine our manufacturing technology that has been cultivated over a century. We aim to establish specialist top brands in new industry sectors of growth as well as existing machine tools for industrial machinery. The further application and development of microwave technology, the expansion and sales of environmental evaluation equipment and the development of new robotics and automation are themes which will be addressed. We strive toward quality assurance and enhanced services, in order to fulfill our promise as a manufacturer trusted by customers. The 100th anniversary goal of SAIDA Group is to be a ‘small but shining manufacturer’.